What did it mean to you to win the Piano Competition in Cincinnati? Winning a major competition here in the U.S. means that more people pay attention to you, but the best part of that win was that six months later, my manager signed me up, and he really is a perfect manager for me. Also it was an incredible boost for my self-esteem. It seems that a wider recognition in the U.S. came with your performance of Prokofiev’s piano concertos with the San Francisco Symphony in 2007. Prokofiev’s music was in a sense your ticket to success in America. Would you agree with that? e my manager heard me. Again, it was the same Third Piano Concerto that I played in the final round of the competition in Cincinnati, so, in a sense, it became my signature piece. Then came my performance of the First and Fourth Piano Concertos with the San Francisco Symphony. It was the first time I had ever played Prokofiev’s Fourth Concerto in a concert; it was also the first time for Michael [Tilson] Thomas to conduct it and for the San Francisco Symphony to play it. Can you believe that? So Prokofiev was the composer who walked me through the first few years of my professional career. There must have been something fresh in your renditions that attracted the audiences, critics and agents. For some reason, Prokofiev is not difficult for me to play. There are composers that you get along with and some composers that you “struggle” with. Prokofiev came naturally to me, and I understood very clearly what he wanted to say. This must have come across in my performances. Prokofiev was a great pianist himself, and his writing is one the most comfortable in the piano repertoire. One also needs to remember that Prokofiev was a versatile composer, who wrote the best ballet music that has ever been written. So you have to absorb him whole to be able to play his music well. Where do you place Chopin in your musical interests? He has a very special place in my heart. Chopin is one of those composers whose music people play from a young age to their late years, because he wrote a full range of pieces with different levels of difficulty. I played him a lot when I was much younger, but I never felt I spoke his language. You go through these stages in your life and sometimes have to wait to be ready for a composer. A few years ago, I finally understood everything Chopin wanted to say, in my humble, subjective opinion, of course. It became very personal, between him and me. This is what you wish to have with every composer. I am going through a Chopin stage, and I am playing a lot of his music this year, bringing in new pieces, so I am very excited to get a chance to play his music in Atlanta. What do you consider to be the most fascinating element of his music? Chopin is probably the only composer who never wrote a “wrong” note. There are many composers, including Prokofiev and Rachmaninoff, who wrote some pieces that I would not want to study, but Chopin is very special, because no single note in his music is meaningless. Chopin should suit you well, because you often have a delicate, almost feminine, touch, which can be heard, for example, in your interpretation of Bach’s Partitas. It reminds me of the great Ivo Pogorelic. Is this a fair comparison, do you think? To be honest, I have never heard Pogorelic play Bach, but are you probably talking just about the quality of sound? I am quite flattered by the comparison, because Pogorelic is one of the best pianists out there, but I never really tried to sound like someone else. I believe that every pianist needs to find his or her own voice. I listen to other pianists’ recordings out of curiosity, just to see what other people do, not in order to copy them. If you try to sound like someone else, the momentum of your performance is going to be completely lost. It’s going to be somebody else’s, not your own. How did you find that voice in Bach? There was a moment in my life when I studied Bach thoroughly, and that was when Vladimir Feltsman became my teacher and mentor. He is known to be one of the best Bach interpreters of all times, and it was Bach’s Partitas that we worked on. I learned a lot from him; I think I gained in-depth knowledge of Bach’s music and understanding of his language. I am glad you like this recording, because I think it is one of my best. I worked hard on achieving the right kind of sound, and I am really proud of the results. You said you never wanted to copy someone else, but surely you must have idols? Certainly. My teacher, Vladimir Feltsman, is one of them — a tremendous talent, a fantastic, first-class pianist and one of the greatest musicians who ever lived, not just in our generation. He was an infinite source of energy, and I always learned something new from him. There is also Krystian Zimerman, the famous Polish pianist. When you look at conductors, I really admire Valery Gergiev from St. Petersburg. He is the principal conductor of the London Symphony Orchestra and has worked with the Metropolitan Opera in New York and the Vienna Philharmonic. He is an incredible conductor and incredible musician. The list of people I look up to is long, but it doesn’t mean one should try to do exactly what they do. It takes away the artistry and the whole purpose of art making; you can only refer to them as the source of knowledge but still try to find your own voice in everything you do. You studied in St. Petersburg at the Rimsky-Korsakov College of Music and then came to America to continue your musical education. How did that come about? I was at college in the ‘90s. It was a tough time for Russia, and my parents told me it would probably be a good idea to go abroad because there was money there in my profession. They said it would be a good experience and that if I didn’t like it, I could always come back. Russia is much better off right now, but at that time, I thought it was a good idea. My parents respected my decision and fully supported me. They helped me fund the trips to auditions to different schools. I went to Helsinki to audition for the Sibelius Academy, I went to London to audition for the Guildhall School of Music, and I went to two schools in the U.S., in New York. Dr. Arkady Aronov from the Mannes College came to my audition, and he ended up being my teacher for the first three years. I decided that Mannes would be the best place for me, and I am very happy with that decision. Otherwise I would not have met Feltsman and I would not have what I have today. How would you compare the music education in St. Petersburg, which is famous for its excellent music programs, and the college in New York? It is hard to give you a simple answer. Of course I am very grateful to New York for all the opportunities it gave me, because I was able to accomplish a lot of things at Mannes, but I have to admit that courses on theory, composition or harmony were more demanding in Russia. It all turned out well, because my experience from Russia gave me head start so I could really focus on studying the piano literature. On the other hand, you need to remember that we start college education in Russia much earlier, at about 15, so it’s hard to make a fair comparison. Do you ever go back to St. Petersburg? Yes, in fact quite often, and I love being there. Two days ago, I actually bought a piano for my apartment in St. Petersburg, and I am going to have it shipped to Russia. It is an incredible instrument, and it’s going to be restored by possibly the best Steinway technician in the country, so I am very excited about it. When I see the progress Russia has made in the last 12 years, I am more and more thinking about spending an equal amount of time in both places, New York and St. Petersburg. Both are great cities, but New York is not for everybody to live the whole year around. I still love my hometown, and in my heart, I feel I never left it. Russia is a different place today. It is no longer difficult like it was for many performers who left Russia for good [before the fall of Communism]. Rachmaninoff was never happy in the U.S., and in the last 25 years of his life, while he was living in here, he wrote only six pieces because he was so nostalgic about Russia. A big part of his life was wasted, but he could not go back. Prokofiev could not stand living away from his homeland and went back to the Soviet Union at the worst time possible. That’s why the end of his life was not very successful. There is something “magnetic” about Russia. That’s why I keep going back. Let’s talk about your recording company, IY Records. Did you found it for financial or artistic reasons? I simply wanted to produce my own CDs under my own label and protect my copyrights. Does this give you more artistic freedom? Yes, certainly. The only thing I don’t do is distributing. I have been approached by several distributors to pick up my product after they saw how I did it. I hope to get a good offer from a distributor who will be able to sell my CDs worldwide. Having control over the whole process probably entails a lot of work. Yes, but when you do something for yourself you can do it on the highest possible level and then be proud of your product. This is the beauty of having your own business. Our design is top of the line; I have the best sound engineer and a first-rate photographer. We take it extremely seriously, and there is no way I can produce it half done or even 99% done. I do it like Whitney Houston [did], sitting in the studio for hours and sitting at the computer for hours. I almost lost my designer because I was so difficult to deal with [laughs], but eventually he was very happy with the result and forgave me. You are a perfectionist, aren’t you? Unfortunately [laughs], but this is what makes me move forward. I don’t pay too much attention to it. If you believe in yourself and in what you do, and if you are satisfied, then it doesn’t matter who says what. If I was paying attention to everything everybody says around me, I would have been in a blaze a long time ago. You should never let anybody put you down or stop you from progressing. Tell me something about your life outside music. 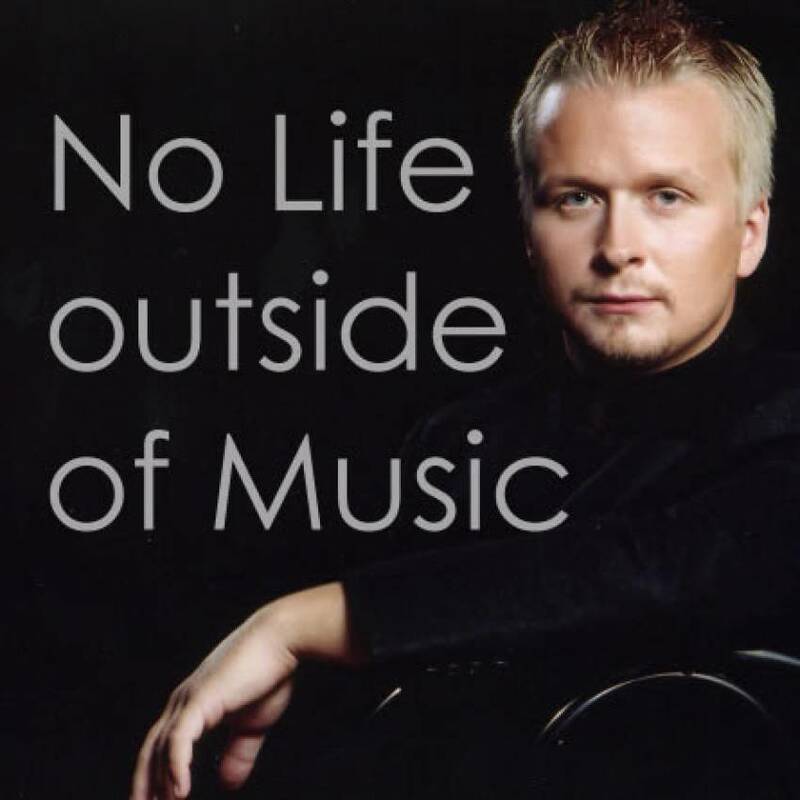 There is no life outside music [laughs heartily]! I am very boring. Unfortunately, I am one of those guys who dedicate all their lives to music. There is not much left outside of it. I have a girlfriend in St. Petersburg, and it’s quite serious, so we are thinking of possibly buying a lot near St. Petersburg and hopefully building a house there for summertime. This would keep me busy for a while. There are a lot of projects on my list, but that’s all right. I am not a vacation type of a guy. Holder of numerous prestigious awards.